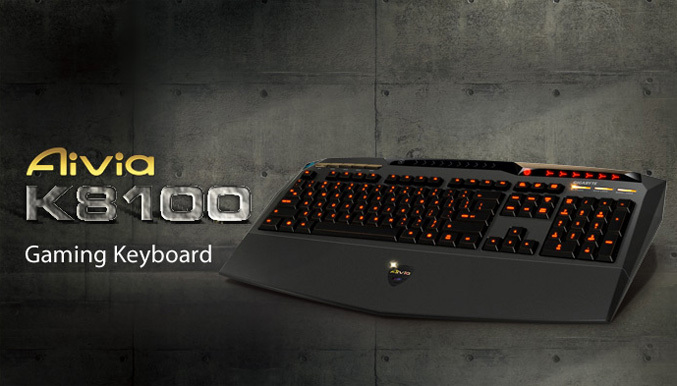 Gigabyte debuts first product from its gaming grade Aivia series –the Aivia K8100 Gaming Keyboard, which includes four major features –ergonomic gaming keystroke design, GHOST macro engine, 20 anti-ghosting keys, and touch and slide volume control. 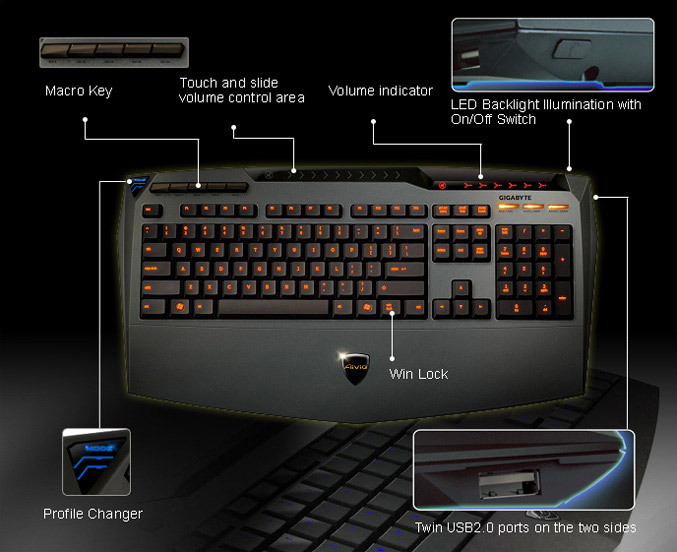 The USB keyboard weights 1300g, comes in black, yellow and Red colors, and measures 490(L)x263(W)x32.8(H) mm. 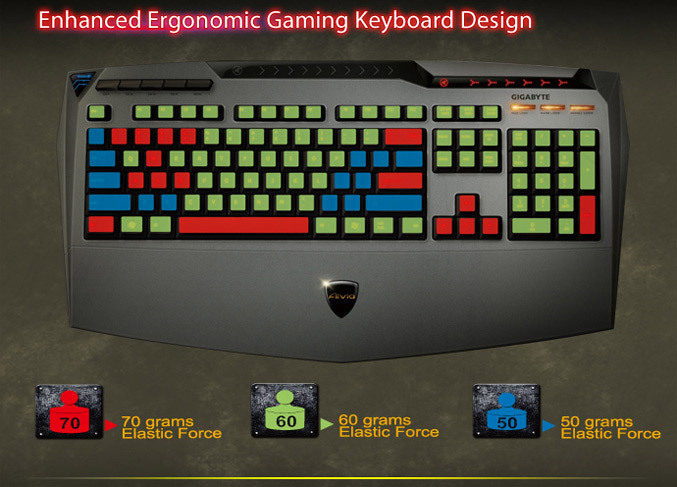 It features three different built-in keystroke forces, 70 grams, 60 grams and 50 grams. Most used buttons such as WASD, Ctrl, Space and arrow keys are assigned 70g weight for elastic force, while the other keys commonly pressed by the little finger such as Tab, Caps-Lock and Shift buttons are assigned 50 grams to reduce pressure on the finger. The keyboard also packs 4 Mb of onboard memory for GIGABYTE’s GHOST Macro Engine, which allows you to store up to 100 programmable macro sets and change them easily with mode button on top left corner of the keyboard. It allows you to press up to 20 keys simultaneously, without lost any key, thanks to its anti ghost feature. The Aivia K8100 also have LED backlight illumination, touch and slide volume control, two USB ports on the side and braided cotton cord for durability. The price will be around 40 euro.